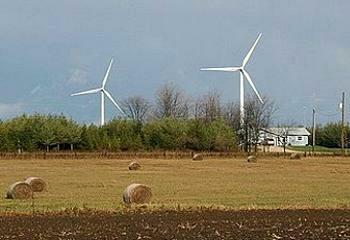 OTTAWA, Canada, July 12, 2012 (ENS) – Canadian health and statistics agencies are planning to explore the impact of wind turbine noise on the health of people living near wind power developments. Saying that reported health effects are “poorly understood due to limited scientific research in this area,” Health Canada, in collaboration with Statistics Canada, will conduct a two-year study of noise-related health problems in communities near the rapidly multiplying number of wind farms across the country. 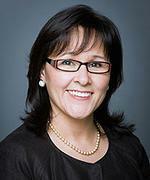 “This study is in response to questions from residents living near wind farms about possible health effects of low frequency noise generated by wind turbines,” said Health Minister Leona Aglukkaq. “Currently, there is insufficient evidence to conclude whether or not there is a relationship between exposure to the noise from wind turbines and adverse human health effects, although community annoyance and other concerns have been reported to Health Canada and in the scientific literature,” Health Canada said in its July 10 Notice to Stakeholders announcing the study. “As always, our government is putting the health and safety of Canadians first, and this study will do just that by painting a more complete picture of the potential health impacts of wind turbine noise,” said Aglukkaq. People have reported health concerns regarding wind turbine installations that include: nausea, vertigo, tinnitus, heart palpitations, stress, blood pressure spikes, sleep disturbance and annoyance resulting from the noise that wind turbines produce. To date, there have been no field studies that have included objective health measures in their study design which could prove or disprove the self-reported claims, according to Health Canada. In addition, there are “knowledge gaps” that hamper attempts to measure and model wind turbine noise, in particular low frequency noise, says Health Canada. Health Canada claims expertise in measuring noise and assessing the health impacts of noise due to its role in administering the Radiation Emitting Devices Act. As defined by this law, noise is a form of radiation. To design the study Health Canada has brought in experts outside the agency who specialize in noise, health assessment, clinical medicine and epidemiology. The design methodology will be peer-reviewed by the World Health Organization and by multidisciplinary experts in conference settings. The study will initially focus on 2,000 dwellings representative of communities near eight to 12 selected wind farms in Canada. The study design includes taking physical measurements from participants, such as blood pressure. Hair samples will be taken to obtain a 90-day history of levels of the hormone cortisol in the blood. Physical and emotional stress, as well as illness, can increase cortisol levels. Investigators will conduct computer-assisted personal interviews that probe noise annoyance, quality of life, sleep quality, stress, chronic illnesses and perceived impacts on health. A seven-day objective evaluation of sleep will be undertaken using actigraphy, a non-invasive method of monitoring human rest/activity cycles, which will be synchronised with wind turbine operational data. Noise measurements will be done inside and outside the 2,000 sample dwellings. The homes selected for the study will be located at distances ranging from less than 500 meters (1,640 feet) to greater than five kilometers (three miles) from the wind turbines. The proposed research design and methodology was posted on Health Canada’s website Tuesday for a 30-day public comment period. Feedback will be reviewed by the design committee, compiled and published to the website, along with the design committee’s responses to comments. 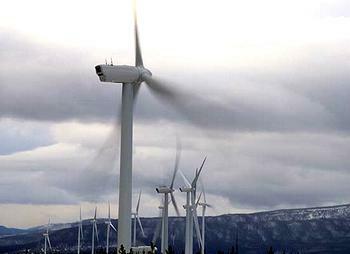 Canadian wind power has multiplied over the past few years. As of May, Canada’s installed capacity was 5.4 gigawatts, nearly seven times what it was in 2005. Wind power currently meets 2.3 percent of Canada’s electricity demands, and the wind energy industry has pledged that by 2025 wind energy will supply 20 percent of Canada’s electricity demands. Publication of the study results is scheduled for 2014.